UMass Dartmouth's bachelor of science in nursing program provides a seamless progression from student to practicing nurse. Today's nurses must be knowledgeable and analytical, caring and creative. They are key members—and often the leaders—of teams of health care professionals. The College of Nursing provides the comprehensive education, both theoretical and practical, needed in this challenging and rewarding profession. Undergraduate nursing applicants are accepted for fall admission only. As an incoming student, you will be assigned a faculty advisor who understands your career goals and will work with you throughout the entire program. In your first year, you'll experience your first nursing course and build a strong core of knowledge in select science courses. Years two and three feature clinical, in-the-field placements at partner sites throughout the region, including hospitals, clinics, and long-term care facilities. During your final year, you’ll be paired with a registered nurse. This partnership allows you to provide real care to real patients. Your mentor will be by your side for advice and encouragement. 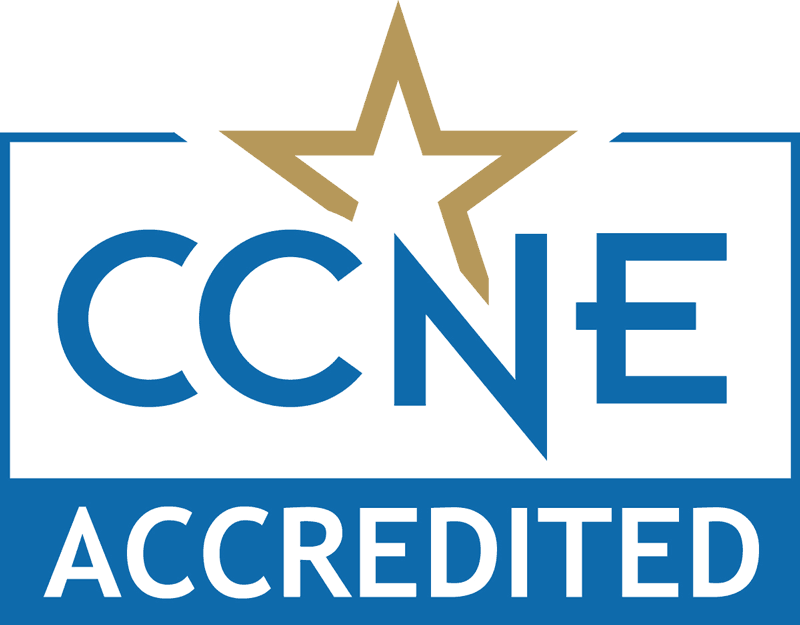 It all adds up to a nationally recognized, competitive program that is accredited by the Commission on College Nursing Education and is recommended by the American Nurses Association. For 2018 graduates, there was a 98% pass rate on the NCLEX, the national licensure exam. The College of Nursing provides you with the most current perspectives on the discipline of nursing based upon the values, skills, and competencies essential for nursing practice in the 21st century. First year: you will be introduced to core nursing concepts, values, and beliefs—and your university studies in the sciences and liberal arts will provide a strong foundation for concepts you will encounter in the study of nursing. Second year: you will begin to acquire the skills in observation and communication necessary to assess an individual’s needs, set measurable and realistic goals of nursing care, and utilize evidence-based interventions to maximize health. Third year: emphasizes the transfer and application of knowledge in clinical situations. You will develop skills in caring for acutely ill adults, childbearing and childrearing families in the hospital and community, and populations at risk in communities. The family as a unit of care, as well as populations at risk in communities, become the foci for the nursing process. Senior year: you will learn how to collaborate with members of the healthcare team, advocate for the needs of patients, and intervene to shape the healthcare environment. You will refine the skills required to manage the complex health needs of individuals, groups, and populations. The emphasis is on the analysis and synthesis of knowledge to maximize health. Your mentorship experience—in the last half of the final year—facilitates this process. Students assume the role of a professional nurse, under the supervision and guidance of a staff nurse mentor. For the BS in nursing, you will complete a total of 122 credits.